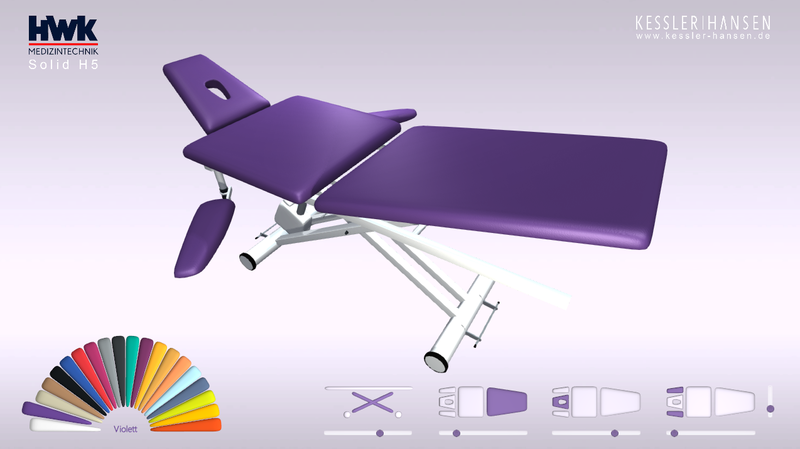 Interactive 3d product presentation in Unity, showing the color variation and adjustment options of a medical bench. Click on the image below to start the webplayer. Use your mouse to rotate (left mouse button), pan (middle mouse button) and zoom (mouse wheel).